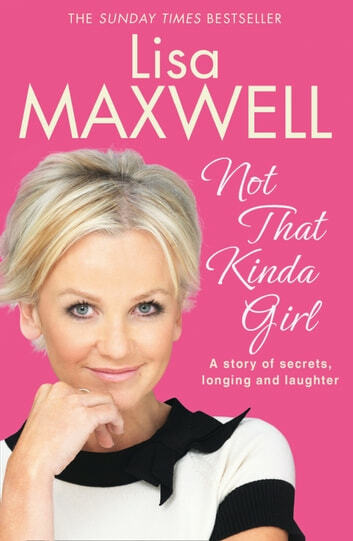 Lisa Maxwell, an addition to the quick-witted Loose Women team, is a bundle of fun and laughter and a natural storyteller. Here, for the first time, she tells her astonishing story - a tale of remarkable spirit, incredible experiences and family secrets. A much-loved presenter and respected actress, Lisa got her first onscreen role at the age of just 11. In the eighties she became a TV presenter on series like Splash and No Limits, interviewing the icons of the time and partying with the likes of George Michael, Robert Downey Junior and Michael Hutchence, before moving more firmly into comedy, appearing on sketch shows like, The Les Dennis Laughter Show, The Russ Abbott Show and her very own, self-titled, The Lisa Maxwell Show. She narrowly missed out on the part of Daphne in a little show called Frasier. And then for seven years played the part of The Bill's DI Sam Nixon, before joining Loose Women in 2009, where she quickly became an audience favourite. But behind the fun, glamour and onscreen success, is a south London girl, hiding the secret she's been taught never to talk about. An illegitimate child, brought up in Elephant and Castle, Lisa's life very nearly took a different path. Lucky for her, her dear old Nan had a kind heart, and in a last minute change of plan she was brought home to her grandparent's flat on the Rockingham Estate. With warmth, honesty and humour, Lisa takes us to the heart of the Elephant, revealing a home filled with love, laughter and drama. From having the drawer of an old chest for her bed to hiding from the Tally Man, waiting for her Nan outside the betting shop to dabbling in petty crime, discovering her dad was still alive, and always looking for a way to be in the lime light, Lisa has written a colourful memoir of life as a daughter, a granddaughter, a mother, and an actress.